Artwork on the former bay doors mimics graffiti and coexists with the real thing. photo by Alice Lum. In 1884 New York City’s most modern buildings were illuminated by gas. That year six gas providers joined to become the Consolidated Gas Company. But technology would elbow gaslights out of the picture before long. Thomas Edison’s Edison Illuminating Company was already supplying electricity to fifty-nine consumers in lower Manhattan. By 1920 the Consolidated Gas Company had become the Consolidated Edison Company—the leading provider of electricity in New York City. Con Ed erected enormous power plants along the rivers; great hulking brick edifices with towering smoke stacks that were undeniably industrial. But within the city, nestled up against business buildings along busy streets, substations were built. From these structures massive converters and other equipment provided electricity to the subway system, the thousands of buildings and the homes of New York City. 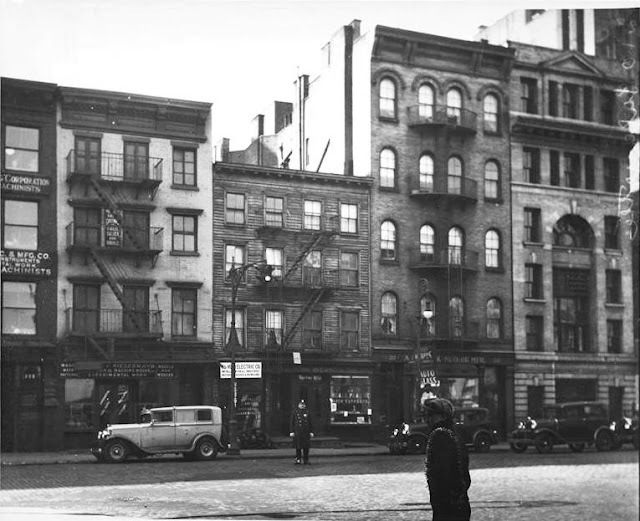 The utility company could easily have produced utilitarian, factory-looking buildings for its substations; but instead it built handsome structures that melded into the street environs. Beaux Arts and neo-classic facades hid the colossal machinery inside while providing pleasant additions to the streets. One such substation was constructed in 1922 at No. 214 Lafayette Street. 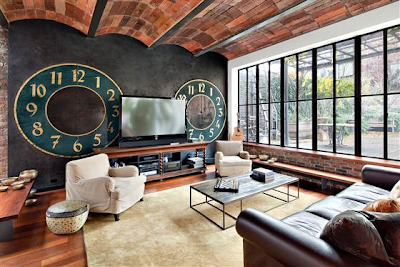 Six stories tall, the brick and stone building borrowed its rusticated base from the still-common carriage house or firehouse. A central bay door was flanked by two openings—a door and a window. The central section was defined by a dramatic three-story arch. At the sixth floor, above a handsome bracketed cornice, sat a shallow Greek temple. It was a dignified, lofty edifice built to house immense, thunderous machinery. For half a century the converters at No. 214 provided power to the city. Then in 1975, no longer needed by Con Edison, it was converted to warehouse space. Within a few years the Soho neighborhood would be discovered by artists who moved into the old loft buildings and transformed former warehouse space to galleries. And so it was with No. 214 Lafayette Street. By 1983 it was home to the Protech McNeil Gallery. Here exhibitions of modern artists were staged, like the 1983 show of Alice Aycock’s metaphorical “stratagems of metal” sculptures. The Artificial Gallery was in the building in 1997 when it hosted a 27-year retrospective of Jamie Reid’s “bitingly satirical collages,” as described by New York Magazine that year. The Soho neighborhood continued to change. As the 21st century neared, celebrities and movie stars moved into buildings that were formerly home to struggling artists. In 1996 film director Marcus Nispel purchased the old substation at No. 214 Lafayette and initiated a decade-long conversion to a one-family home. While the character of the industrial structure was preserved, there was nothing industrial in the amenities provided in the finished product. Portholes provided underwater views into the 40-foot pool; the living and dining area, including a drop down cinema screen, featured 20-foot ceilings and an antique French fireplace. A private terrace measured 925 square feet—larger than many Manhattan apartments. 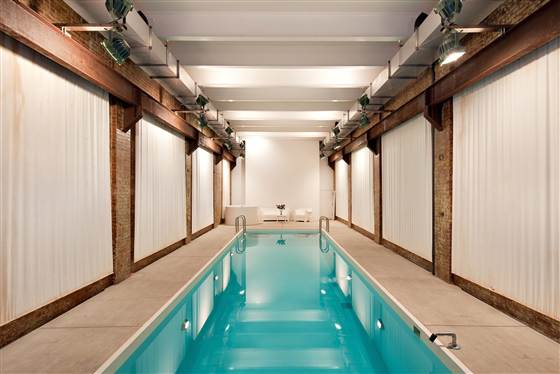 The jaw-dropping space appeared in a 2008 Beyonce video and today is a rental property—bringing in a tidy $10,000 per month. Outside, the old substation looks much as it did in the middle of the last century; inside it is difficult to remember that giant turbine-like machinery once filled the space. I highly recommend a fascinating book, New York's Forgotten Substations: The Power Behind the Subway by Christopher Payne. It is a compendium of remarkable photographs of the interiors and exteriors of these amazing structures that were once ubiquitous in Manhattan. 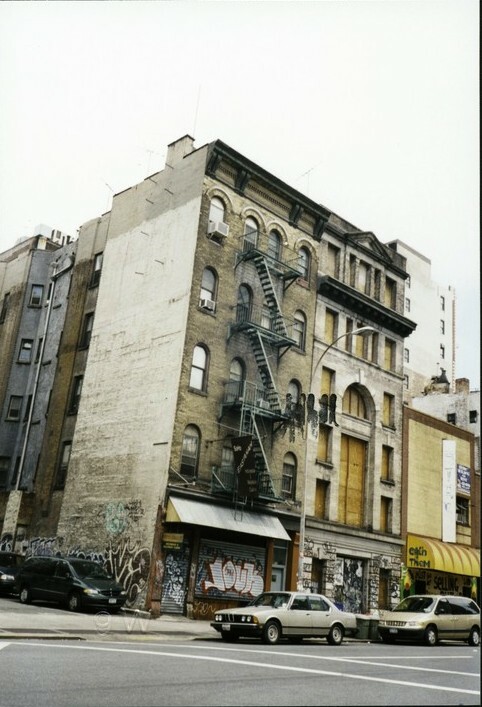 Correction: By 1975, artists were firmly entrenched in SoHo and zoning had been changed to make it legal for visual artists to reside in loft buildings with the concept that they were living where they manufactured their art. That law is still on the books today. 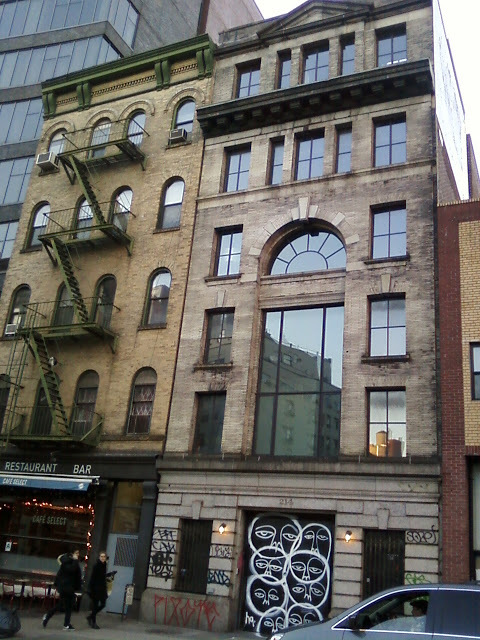 The current certificate of occupancy for this building, issued in 2010, allows only joint living-work quarters for artists, artists studio and accessory pool. Anyone can own it, but only visual artists can live there legally. No mention in the certificate about renting out for filming and events which it does on a regular basis. Thus, it follows the SoHo tradition that started when the artists moved in illegally...now a new, richer, crop is doing the same.